The insurance-linked securities (ILS) market will be a source of innovation and drive future efficiency for the risk transfer market, to the benefit of protection buyers, according to Managing Partner of ILS investment manager Twelve Capital, Christoph Buerer. 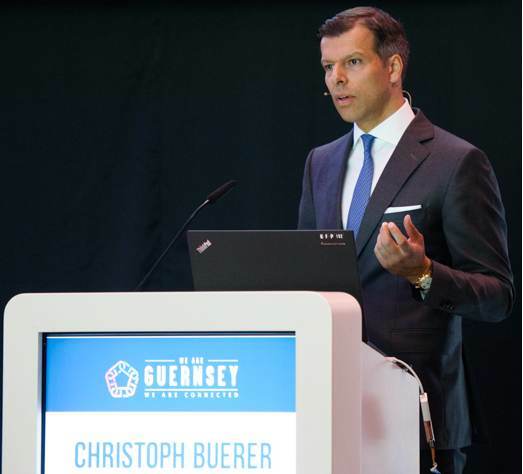 Speaking last week at the Guernsey Finance ILS Insight event in Zurich, Buerer explained the beneficial nature of utilising the capital markets and ILS structures as a form of risk capital and how that can optimise the balance-sheet. Buerer also explained that there are differences in ILS investing strategies that the end-investors should be aware of. “The benefits ILS investments offer are a telling illustration of the value of active investment management. In contrast, by definition, passive investment gives investors significant exposure to below average quality firms,” Buerer explained. He also discussed the difference between ILS investors, who typically have a relationship with the ILS asset manager controlling their institutional fund allocations, and the capital markets investors that invest in reinsurer equities. At the margin, Buerer explained, ILS managers can show more discipline when deploying capital into risks, as investors can redeem their investment. Where as investors in a reinsurance company balance sheet could find their investments locked up and not redeemable. Finally, Buerer discussed the suitability of ILS capacity for managing tail-risks that sit on the balance-sheet, stressing the value of the full collateralisation of ILS coverage as it is vital to be able to recover from your reinsurance providers when the worst happens. He implied that “fully-funded ILS covers seem superior in comparison to the multi-gearing nature of traditional reinsurance company balance sheets,” for exactly that reason. Other sessions at the Guernsey event discussed the ability of the ILS market to expand into new areas, during which the audience were urged to look beyond pure catastrophe risks, as well as a discussion of the London ILS regulatory regime activity.